Golf is a popular and well-loved game for many reasons. It offers people an escape from the stresses of everyday life, allows you to bond with loved ones, burns calories, and improves hand-eye coordination. With courses in nearly every country across the world, this game is a classic that will stand the test of time. Anyone who is familiar with golf, beginner or not, knows that you must be able to putt well to play well. According to many golf players, accurate putting is one of the hardest aspects of being a great golfer, but having a bad putting streak is a quick way to lower your overall score and end up losing. This means that perfecting this skill is a must. 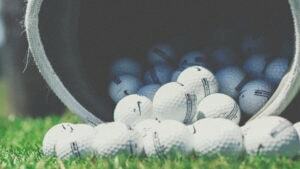 Most players who enjoy the game would love to be out on the course every day honing their skills, but that isn’t always possible. This is where owning an indoor putting green is helpful. In addition to being a lot of fun, and a great activity to do with the family, this product offers an effective method for perfecting your golf game.